Varathane Pro Finisher Is A Premium Quality, Ultra Durable Professional Clear Coating. This Low Voc Oil-Based Formula Is Ideal Of All Interior Applications And Delivers Outstanding Performance With Superior Scratch And Stain Resistance. Water based clear finish. More than twice as durable as traditinal water based finishes. Self-leveling and non-yellowing formula dries fast in a Crystal Clear Finish. To use on all interior wood surfaces, doors, furniture, cabinets, commercial or residential floors. Varathane ProFinisher's professional-quality clear finish is ideal for all wood interior surfaces and provides protection from long-term wear and abrasion. The smooth flow and superior levelling properties make it an ideal topcoat for wood floors. 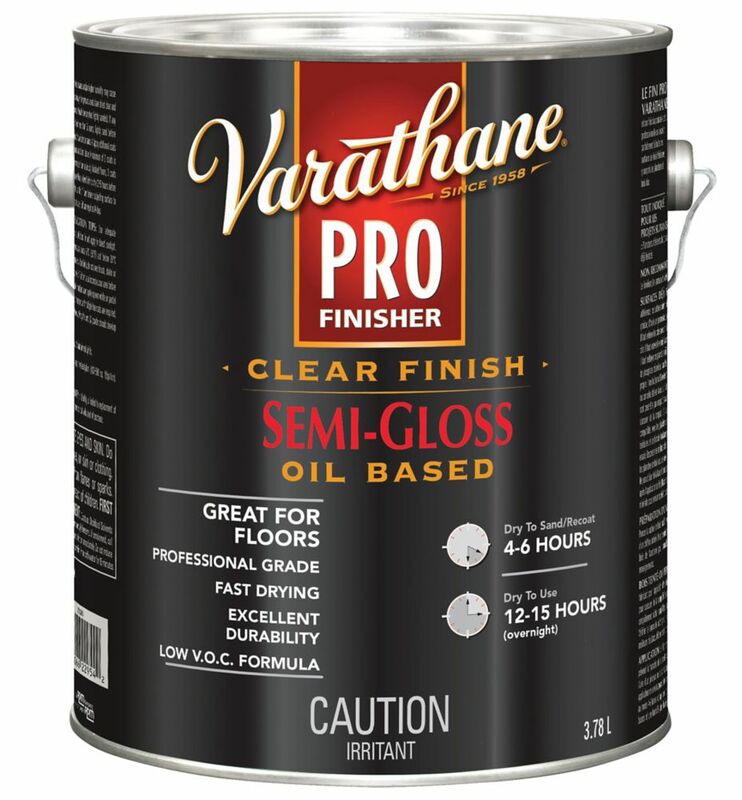 Pro Finisher Clear Semi Gloss 3.78l Varathane Pro Finisher Is A Premium Quality, Ultra Durable Professional Clear Coating. This Low Voc Oil-Based Formula Is Ideal Of All Interior Applications And Delivers Outstanding Performance With Superior Scratch And Stain Resistance.